Our #beauty20 Award 2018 winners have been announced! The fifth consumer-choice awards in Miami: #beauty20, took place in the stylish SLS South Beach Hotel on February 4th, a kick off to INNOCOS summit, where beauty executives will be sharing their vision of the future of beauty and provide invaluable insights on the beauty industry’s hottest emerging trends and how they are reshaping the future of beauty as we know it. Areas of focus will include marketing and operational best practices, success stories, innovation strategies, and advice on how brands and retailers should respond to the ever-changing modern customer. The #beauty20 awards were created to benchmark the companies who are the most successful in connecting with consumers through digital technology and social media. INNOCOS’ team selected 5 of the most popular digital marketing platforms as categories of the awards. Beauty brands and their agencies were asked to place nominations. After that, with much deliberation and critical reviews, our team of judges (beauty bloggers), selected the top five brands from each of the 5 categories. Wunder2, a high-tech beauty, whose mission is to translate coveted runway looks into everyday relatable beauty deserves a special attention for winning category best use of Facebook. One of the most popular categories every year is best overall social media presence-startup, which generates the highest nominations. This year, the majority of votes went to Cotarde, a startup based in Miami, which is created for people on-the-go and inspired by global jet-setting and future vision of it. Another popular category that received many nominations was best use of Instagram, which shows that this is still one of the most popular channels in the beauty industry. Well done Hynt Beauty, who got most of the votes here. They give you the best bang for your beauty budget and they must be doing something right by winning for their performance on such a popular platform! And the Big Winner this year, like many times in the history of #beauty20 awards is Mary Kay, taking home the awards for a best e-commerce website and best overall social media presence. The enthusiasm of their social media team is contagious. This year, we will have the chance to hear Paul Jones, VP brand & digital marketing, present on Mary Kay’s digital transformation. The winners, in addition to recognition from their customers and Global Cosmetics Community, received a beautiful custom-made trophy. The trophy was custom made for these awards in the shape of the letter C for cosmetics, customer and care,” which describes the nature of digital marketing. “The #beauty20 Award is an opportunity for the beauty industry to see which brands are staying closely in touch with their customers,” says Irina Kremin, the Founder of INNOCOS events. We would like to thank you our #beauty20 Awards Sponsor, MODIFACE, our PR partner Show and Tell and VSN Media , a multimedia company, targeting beauty, fashion and lifestyle, who helped to make this event successful. #beauty20 Awards by INNOCOS is the digital marketing awards celebrating the best beauty brands online. The awards were launched in Paris in 2013, followed by events in New York, London, Los Angeles and now: Miami. INNOCOS believes that these events will inspire more brands to join the competition at different locations. What’s next at INNOCOS? INNOCOS Florence, June 14-15 has an incredible line of speakers and you can sign up for special offers and updates here http://eepurl.com/tIjTf or visit www.innocosevents.com for more info. Subscribe here to be notified about next #beauty20 Awards! The #beauty 2.0 Awards was initiated in 2013 in Paris, followed by events in 2014 & 2015 in New York, London and Los Angeles. The awards are brought to you by INNOCOS events and praising the most ground-breaking innovation in digital marketing by beauty brands. The fans themselves will both nominate and vote for the beauty brands they feel are the most innovative and pioneering online. Phase 2: Submit your vote from the preselected top 5 per category. The winner will be determined based on 100% consumer’s vote. 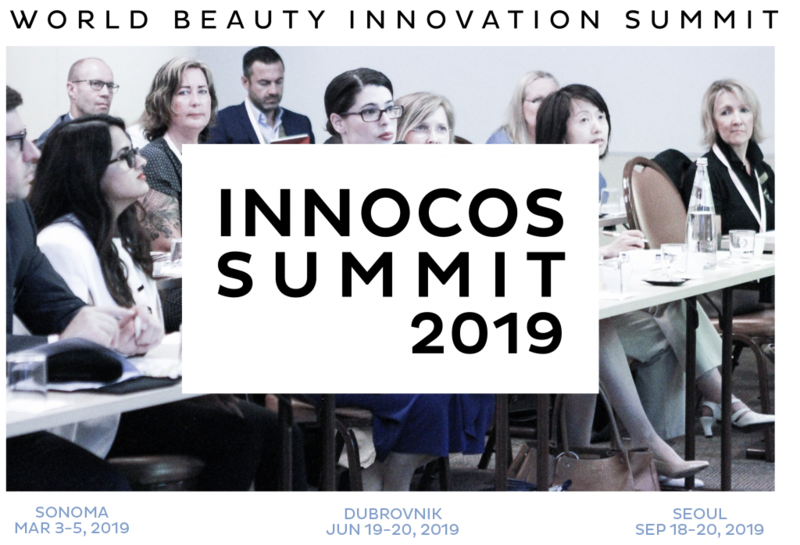 Phase 3: Attend the live awards ceremony at the INNOCOS summit in Miami. February 4, 2018 – Winners of #beauty20 Awards announced at the live Awards Ceremony in Miami. The #beauty20 Awards are open to individual consumers, cosmetics and personal care brands, suppliers and retailers from any and all countries globally, to nominate their favourite beauty brand online. The #beauty20 invite beauty brands, retailers and their PR agencies to nominate. To be eligible, the entry must be for a beauty brand manufacturer or retailer. Vendors can nominate their project they have done for the brand owner only. Only those customers for whom projects have been implemented can take part and not their external service providers. If the category that wins an award was performed with an external service provider, it is the customer who will receive the award and not the external service provider. The service provider may be mentioned if the customer so requests and if the service provider gives his written agreement and accepts these rules. Entries that have won awards in past #beauty20 Awards competitions are eligible for the current competition. So don’t shy away from defending your crown. There is also no limit to the number of entries you may submit or the number of categories you may enter. Entries that contain pornographic material, propagate “hate” messages, make defamatory statements, or that are otherwise extraordinarily offensive are not only uncool, they are also not eligible to win a #beauty20. Ineligible entries may be disqualified at any phase of the competition without notification. Entries into The #beauty20 Awards must be made online through the www.innocossummit.com or www.beauty20awards.com websites. Entries will not be accepted by any other means. No payments are required to nominate your favourite brand. Nomination: Entries will not be considered fully submitted until the entrant hits the ‘Submit’ button. Entrants will receive an email acknowledgement when an entry has been received. The #beauty20 Awards are subject to the present rules. By taking part in the #beauty20 Awards, the contestant accepts these rules unconditionally. The deadline to nominate your social media channel/ blog is available on this page. Anyone brand/company can be nominated and win more than one category. We accept no responsibility for any incorrectly submitted information. #beauty20 judges will short-list an initial selection of applications. The applications selected will be those that feature the finest achievements that stand out as examples of best practice in digital and interactive marketing. The selection criteria used will be originality, creativity and the internal and/or external impact of the project. The communication effort around the project will also be assessed. Each judge is assigned 2 categories that are within their specific area of expertise and experience. We ensure that there is no conflict of interest between any judges and the submissions they will grade, and the adjudication process is carried out with the utmost confidentiality and objectivity. The judges assess the entries in their categories online through our secure system. The judges reserve the right to re-categorise entries if they think another category would be more suitable. However, they cannot be expected to routinely re-categorise incorrectly entered projects. Sponsors are also allowed to enter the category that they are sponsoring, but they cannot be a part of the judging panel. The judges’ decisions on Top 5 per Category (from the nominations) are final and no correspondence will be entered into regarding them. The winner will be determined by 100% consumer’s vote. By submitting an entry the entrant confirms that they have read and agree to the ‘Rules of Entry’ above, and understands that these now apply. The Winner will be announced at the Awards Ceremony at INNOCOS Digital event. Awards will be given to the brands/campaigns that receive the largest number of votes on the www.beauty20awards.com website during the voting period. In the case of a draw between two nominees, both nominees will receive the award. Award winners will receive a trophy and will benefit from visibility on #beauty20 ‘s website and our media partners platforms. #beauty20 and the judges reserve the right to withdraw the award from a nominee who does not attend – or is not represented by his external service provider at the awards ceremony. To book your ticket online for the live awards ceremony visit innoCos digital registration site to pay with credit card or email: registration@innocosevents.com. Payment is due within one week of your booking. Changes to the rules/cancellation/exclusion. #beauty20 reserves the right to modify these rules at any time and without having to justify these modifications. Any modification or addition to these rules will take effect immediately. In the event of circumstances beyond its control or for any other reason, #beauty20 reserves the right to cancel the #beauty20 Awards. In this event, #beauty20 will inform participants as soon as possible. In the event of abuse, deceit or fraud, #beauty20 formally reserves the right to purely and simply exclude the contestant concerned from participating in the #beauty20 Awards and/or any other #beauty20 contests. Personal data. The personal data collected by #beauty20 in the framework of this contest will be the subject of IT processing and are subject to the application of the legislation on protection of privacy. These data will be contained in a file that can be shared with #beauty20 partners and/or used internally and/or used for commercial purposes. By virtue of this legislation, contestants have the right to access and rectify the personal data concerning them, by writing to KGS B.V., Park Hoornwijsk 37, 2289CZ, Rijswijk, Netherlands, to Irina Kremin, or by sending an email to ikremin@kgsglobal.com . Each contestant may also oppose the processing of data concerning them on condition the grounds are legitimate. Liability. #beauty20 declines any liability for any incidents or accidents that a contestant (including its representatives and external service providers) may suffer during its participation in the #beauty20 Awards. #beauty20 may not be held liable if the contest is postponed, shortened or cancelled if the circumstances so require or if this occurs in compliance with the rules. In no way may any typing, printing or page layout errors or other similar errors be construed as forming an obligation that may be binding on #beauty20 in any way.